As owner of Salon Karma and National Educator for MATRIX Haircare, Danielle Keasling continues to push the boundaries of her profession while maintaining her professionalism and unrivaled reputation. National Educator and industry leader, Danielle has worked in the salon industry for over 16 years. Originally trained and licensed in Minneapolis, Minnesota; Danielle made Hilton Head Island, South Carolina, her home in 1999. She has established herself as one of the most sought after hair stylists and extension artists in the South. Finalist in the 2014 North American Hairstylist Awards (NAHA) for texture; her work has also been recognized nationally by Great Lengths USA. She now is a Guest Artist for Great Lengths USA and HairuWear Pro, leader of the hair extension network for the world. Great Lengths USA highlights Danielle’s work in many of their ad campaigns both for consumer and trade purposes. Danielle is responsible for Great Lengths USA’s 2015 Advertorial Campaign and her work will be spread throughout the majority of the beauty consumer magazines in 2015 and 2016. 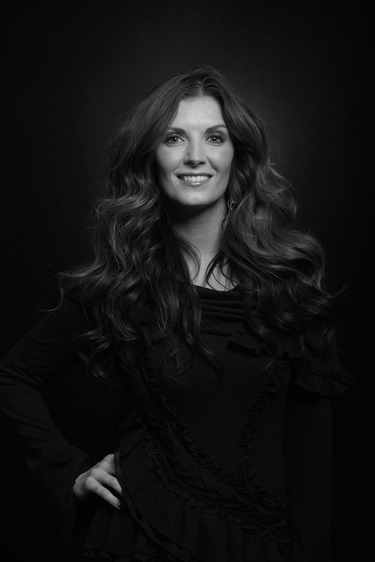 Danielle’s other accolades include the Winner of the 2014 ABS Stars Award for her work in the Day-to-Night category and the 2013 and 2012 Great Lengths USA Extension Challenge. She placed as a Finalist in all three categories. She has also won many other industry competitions and is an Artistic Team member for Intercoiffure, the most prestigious group of salon representatives and salons in the world. Here she works along side industry leaders such as Mary Brunetti, Sherri Jesse, Shirley Gordon, and Sam Brocoto. Danielle’s work can be seen in many consumer and trade magazines such as 10Ten UK, M Mag Brazil, Disfunkshion, Modern Salon Magazine, First Chair, American Salon Magazine, Hot by Hair’s How USA and UK, Estetica, Beauty Launchpad, Peluquerias International, Beauty Underground, CH2 Magazine, Hilton Head Monthly, and Savannah Weddings. She has studied under industry leaders such as Nicholas French, Daniel Roldan, Sam Villa, Ruth Roche, Chris Baron, and her closest mentor and friend, Chrystofer Benson. Danielle also does session work for print, runway, marketing campaigns, commercial, weddings, and film. When she isn’t behind the chair or working on one of many projects, Danielle volunteers her time to the Survivor Glam Squad. The mission is to provide female cancer survivors with esteem-building opportunities such as professional makeovers, education, and motivation. Through donations and volunteer efforts, SGS will empower women and girls to get back on track after cancer treatment. She is now Creative Director for the organization.